Linden has long been honored as a gentle and relaxing herb. The floures are commended by divers against paine of the head proceeding of a cold cause, against dissinesse (dizziness? ),the Apoplexie, and also the falling sicknesse, and not onely the floures,but the disstilled water thereof. 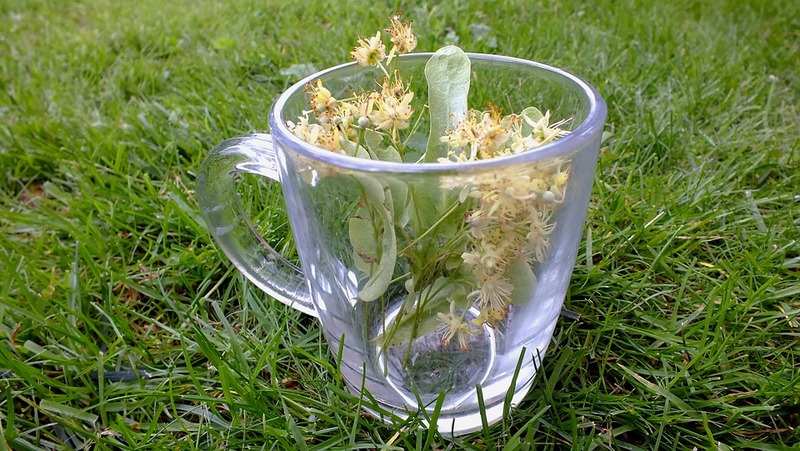 Even today, a cup of linden flower tree is recommended for easing headaches and calming anxiety. It is also used to stave off panic attacks and to lower blood pressure. Modern research is sparse, but it agrees that it seems effective against the swelling and stuffiness of head colds. Here is what the University of Maryland Medical Center has to say about it. It also seems to have some anti-spasmodic properties, which would support its use for indigestion. I generally try to keep the articles and videos that I link to clean and uncluttered, without a lot of information that is extraneous to my subject, but this gentleman is so informative and his voice is so calming that it was worth watching all the way through for his mention of our Noble Interest. Susun Weed is a renowned herbalist with a great deal of knowledge and experience in the use of herbs. Here she shares what harvested linden looks like. I will take this moment to address the subject of responsible foraging. If you decide to forage your own herbs (any herb, not just linden) or food, please remember that unless you own the property that you are foraging on, you need permission to do so. That includes foraging along roadways, even if there's no house in sight, or in a public park. Unless you have permission or a permit, foraging can lead to unpleasant interactions with landowners and the local constabulary. Avoid the hassle. Get the permission. And NEVER take more than a third and that only if it's abundant. Be smart. Don't kill off what may be the only local patch of a plant. If you would rather purchase your linden than forage it, Mountain Rose Herbs carries it. I enjoy a cup of linden tea a couple of times a week and I will say two things about it. First, when it was recommended to me by an herbalist I trust, she told me that it was so delicately flavored that I might want to add something to it to make it taste like anything. I tried it and found that the flavor, while delicate, is delicious and I take mine with nothing, not even honey. And secondly, even though she is a doctor and an herbalist, since I was unfamiliar with the herb I did my own research on it and found that there is some question as to whether it causes heart damage. Therefore, I limit my intake of it more than I might have. I point this out because almost all of the information out there makes linden sound completely safe and that may not necessarily be the case. Be safe. Research it yourself before you try it. So- we find that linden is considered to be a gentle and effective herb to soothe the mind and heart. Did I forget anything? Do enjoy a cup of linden tea as is, or do you find yourself adding another herb for flavor? Tell me what you add in the comments below. Thanks for stopping by! Tomorrow I'll look into Society's opinion on Linden.